On my Dad's 79th birthday, I informed him of my decision to leave my partnership at another firm to form Cox Financial Group. In retrospect, it was the best business decision I could have made. I attribute how I lead and operate my business to my dad. His advice and example on "how-to" charge clients showed me the best and fairest way possible - as if I were charging my own family. This advice led to our model of "Fee for Service" rather than one-time, up front commissions. The approach is designed for moderate, steady and manageable growth. Most importantly, our team is focused, motivated, and provides meaningful solutions. I want my father to know how much I appreciate him, his advice, and the way he leads his life. His example of hard work, high ethics and simply doing the right thing, has served me well and will continue to do so. 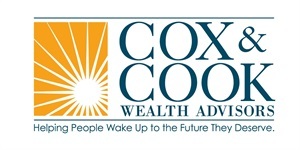 In April 2012 Dan Cox partnered with Cory Cook to form Cox & Cook Wealth Advisors. Cory originally joined the company in 2007, becoming partner & forming Cox & Cook Wealth Advisors in April of 2012. With over a decade of experience in the industry, Cory can help you create a comprehensive plan for success. 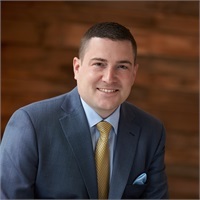 Cory is a graduate of The Ohio State University, attaining his Bachelors of Science Degree with a specialization in Personal Financial Planning. While attending Ohio State, Cory served as the Vice President of the Financial Planning Association. 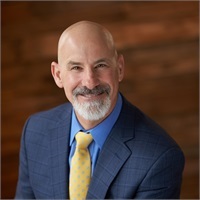 Cory is an active volunteer in other financial planning organizations in Central Ohio & has served on boards for Non-profit organizations in Central Ohio. Cory takes part in continuing education covering many aspects of the financial planning process. Cory is a Greenville, Ohio native with strong roots across the state. Cory resides in Marysville, OH with his wife Lindsey and their two children. Cory is an avid sportsman, photographer & culinary arts enthusiast. Cory makes his own wine & is studying to become a sommelier in his spare time.